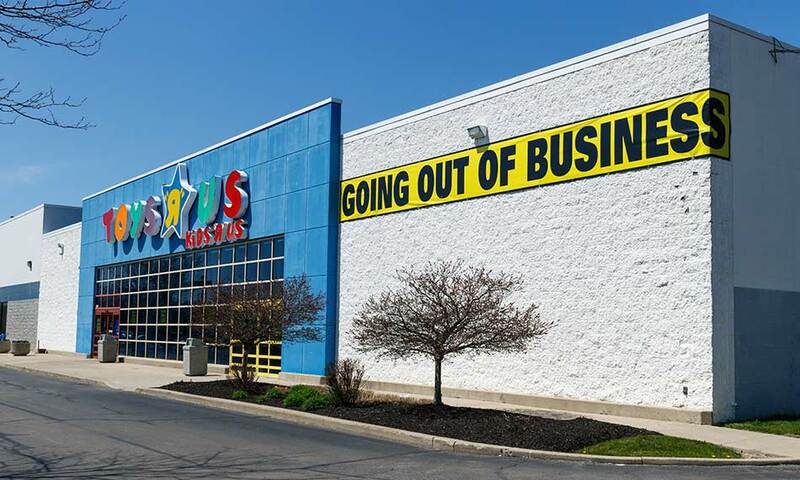 WITH NATIONWIDE CHAIN TOYS"R"US ENTERING BANKRUPTCY AND ANNOUNCING THE LIKELY CLOSURE OF MORE THAN 800 STORES, FORMER EMPLOYEES ARE ELIGIBLE FOR SPECIAL VOCATIONAL TRAINING BENEFITS. Nationwide chain Toys“R”Us has long struggled under the weight of the debt it was saddled with under a 2005 buyout. Despite the fact that the chain accounted for 15% of all toy sales in the United States in recent years, it simply couldn’t meet its debt obligations. In September 2017, the company filed for Chapter 11 bankruptcy. Fairfield – 1400 Gateway Blvd. Folsom – 2785 E Bidwell St.
Stockton – 10640 Trinity Pkwy. Elk Grove – 8507 Bond Rd. Folsom – 13000 Folsom Blvd. Roseville – 6780 Stanford Ranch Rd. Yuba City – 700 A W Onstott Rd. Workers who lose their jobs due to store closings will receive 60 days’ pay, as mandated by federal law, whether or not they have the opportunity to help their store wind down operations. In addition, they will receive health insurance and matching 401(k) payments. However, they will not be eligible for severance packages, due to bankruptcy laws. Former Toys“R”Us employees will likely look to other retailers for new employment opportunities, but many will overlook training benefits made available specifically to those who lose their employment through no action of their own. The EDD offers California Training Benefits as an added benefit for those receiving unemployment payments. The state of California recognizes that to keep unemployment rates down, it’s critical to help members of the public gain the skills necessary to secure stable careers. That’s why those who are eligible to receive unemployment insurance—as is the case with anyone laid off by Toys“R”Us—can also receive California Training Benefits (CTB). The CTB does not cover tuition or other education costs. CTB does, however, waive the requirement to actively seek work, be available to work, and accept “suitable” work—three requirements necessary to receive weekly EDD payments. Instead, you are allowed to collect unemployment benefits while going through training, such as the courses offered by I-TAP to those who wish to become journeyman electricians. I-TAP can help you maximize your CTB, while also finding other sources of tuition assistance. You may still be wondering how you can afford to cover the cost of tuition at I-TAP by relying strictly on unemployment. Our financial aid advisors are skilled at helping our future professionals find additional sources of financial assistance, such as Title IV loans and grants, WIOA, and even state funding for ex-offenders. We will work with you to help maximize your California Training Benefits, such as by securing training extensions that allow you to continue receiving unemployment after the initial period expires, while also identifying other forms of financial aid. We’ll even help you fill out the forms! If you’re a Toys“R”Us employee who has lost your job, or someone currently on unemployment who is ready to start a real career, I-TAP can help. Start your journey on the road to becoming a commercial electrician by calling (916) 332-3332, or sending us a message using our contact form. Ready to learn a skilled trade and work on some of the most exciting commercial construction projects in California and beyond? I-TAP is an electrical apprenticeship program that helps you find your passion, grow your skills, and place you in the perfect electrician job.